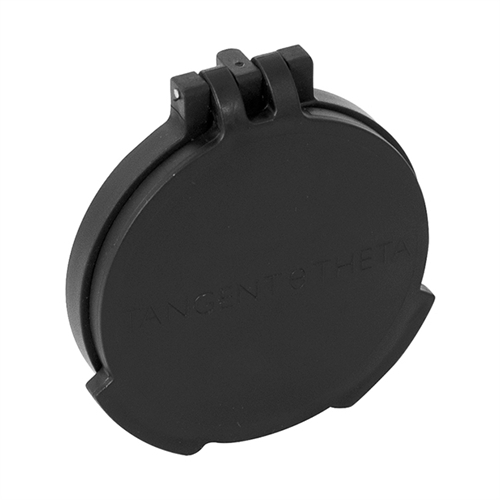 Tactical Tough Flip Cover, Objective, Black in color, to fit Tangent Theta 5-25x56. Tangent Theta Logo. Double Tab Cover.